"The title refers to an animal’s howl. The tiger on the right screen symbolizes “roar”. 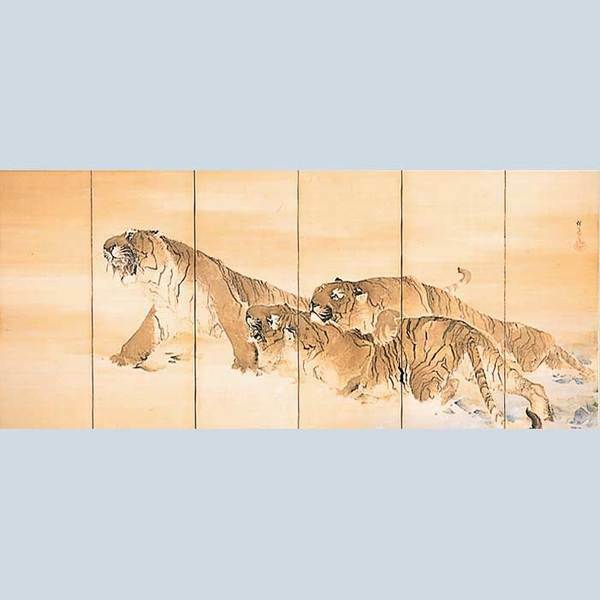 The three roaring tigers threatening a group of deer on a pair of six fold screens are arranged in a broadly curving composition, making much use of diagonals. 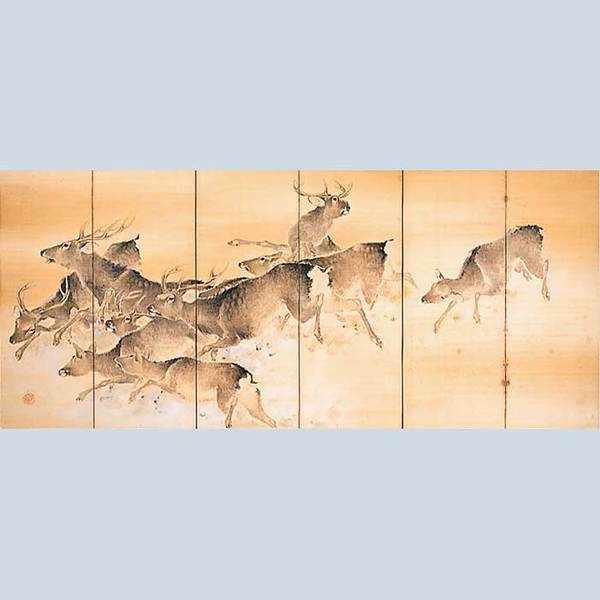 KONOSHIMA Okoku has boldly drawn the tightly controlled lines with a wide brush."